When 2015 Vielles Vignes was first tasted by the Mr.Wheeler team 12 months ago it was clear to see that the strength of the vintage had combined with great terroir to create arguably the greatest, most concentrated and poised expression of the cuvée to date. What we had not anticipated was that 2015 would shortly be equalled by the new 2016 release. So strong in fact was 2016 that it may even become the longest-lived vintage the estate has ever produced. We have on our hands another legend in waiting, as well as a wine which underlines Domaine de la Jasses undoubted pedigree. The masterful back-to-back vintages of 2015 and 2016 providing genuine reward for Brunos tireless effort and attention to detail at the estate. The vintage itself was one of extremes throughout France, where producers in Chablis, the Loire and the Côte de Nuits battled a range of difficulties including frost and hail. The great news was that, as with Bordeaux to the north, stunning conditions prevailed at the Domaine, resulting in an exceptional harvest which is one of the most promising ever experienced by winemaker Bruno Le Breton. As so often seems the case where great vintages are concerned, through a combination of high-quality fruit selection and focus on attaining the greatest expression of Jasse's terroir, volumes produced of this incredible vintage are perilously low. 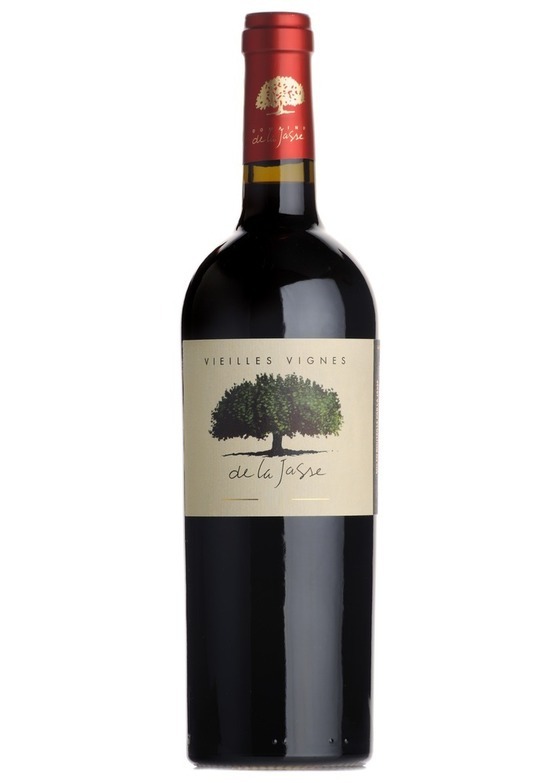 It is clear to see that 2016 represents the very apogee for Domaine de la Jasse's Villes Vignes cuvée, the wine itself displaying bold, silky tannins with vivacious freshness that balances beautifully with intense and concentrated black fruit flavours. The blend, a combination of mainly cabernet sauvignon with a dash of merlot, is afforded the finest 225 litre French oak barrels for 12 months to add intensity, texture and complexity. On the nose the wine is complex, with bold cassis, black cherry and cinnamon spice. There is a milk chocolate like intensity to the rich, mouth-filling fruit, which combines effortlessly with elegant vanilla cream notions; the result of extended ageing in high quality oak barrels. On the palate the wine is elegant, stylish, highly sophisticated and brimming with deep berry flavours. Immediately noticeable is the high quality, ripe and bold tannic framework which give structure, and offer a level of ripeness more akin to the wines of Pauillac in Bordeaux. Stunning definition and the promise of longevity simply jump from the glass, all wrapped up in a luxurious, approachable and promising package. The 2016 is surely one of Brunos greatest accomplishments, and a wine that will be spoken of for many years to come. Domaine de la Jasse is situated some 15 kilometres from Montpellier in the heart of the Languedoc, the most dynamic wine area of Mediterranean France. Its name comes from the shelter and shade, known in the local dialect as jasse, provided by the Domaine’s iconic Plane tree. This tree, which is over a century old, has provided the inspiration for the La Jasse trademark and logo. Today La Jasse, one of the leading domaines in the region, is recognised for its innovation and advanced techniques. The area is well known for attracting highly talented winemakers such as Bruno Le Breton, who has won numerous top awards with his La Jasse wines. Like the makers of ‘Super Tuscan’ wines, Bruno has chosen not to follow the restrictions of the appellation regulations, choosing instead the freedom provided under Vin de Pays d’Oc rules. This allows him to fully concentrate on creating ‘Super Cuvées’ of the highest possible quality at exceptionally low prices.